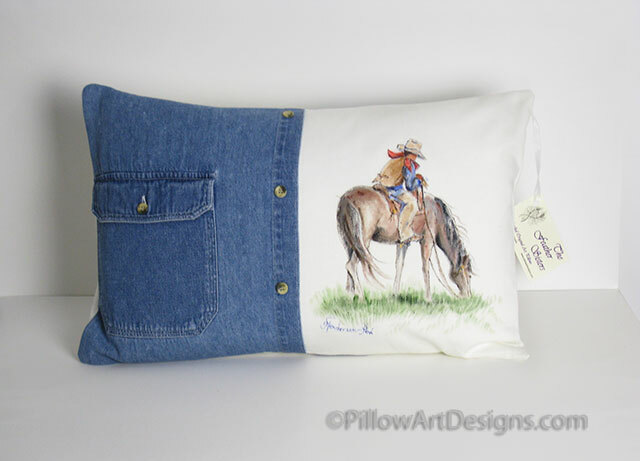 This western themed cowboy and horse original art pillow uses upcycled denim to compliment this scene and add interest to the design of this decorative artwork pillow. 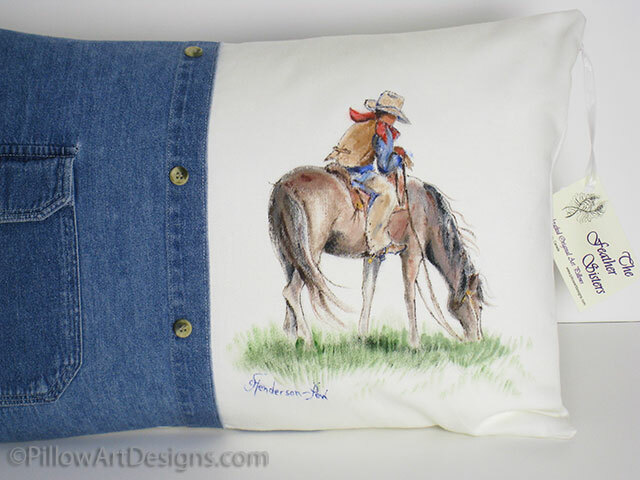 A great gift for the horse lover and a unique artistic decorative accent. Painted free hand and signed by Canadian artist Carol Henderson-Pew. Save on shipping by buying the cover without the insert, price is $75 plus shipping to your location. 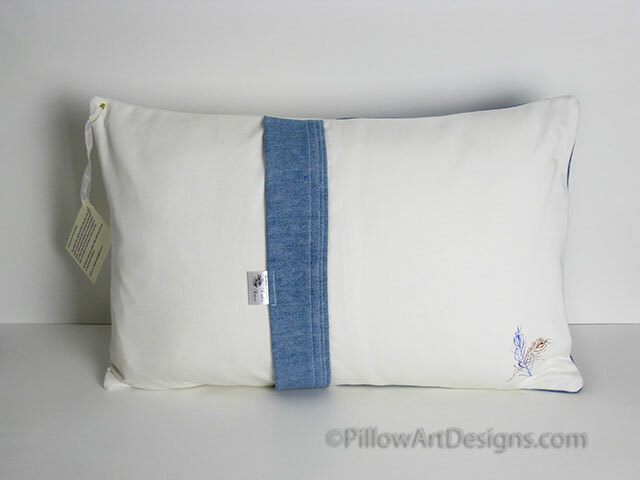 Contact me here at the website for shipping costs and price adjustment.